THIS PAGE IS COMING SOON. 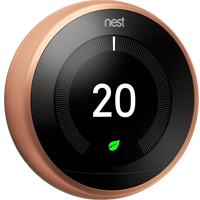 IF YOU ARE INTERESTED AT PURCHASING A NEST THERMOSTAT OR ANY OTHER NEST PRODUCT, PLEASE USE THE CONTACT FORM WHILE WE BUILD THIS PAGE. THANK YOU FOR YOUR PATIENCE.